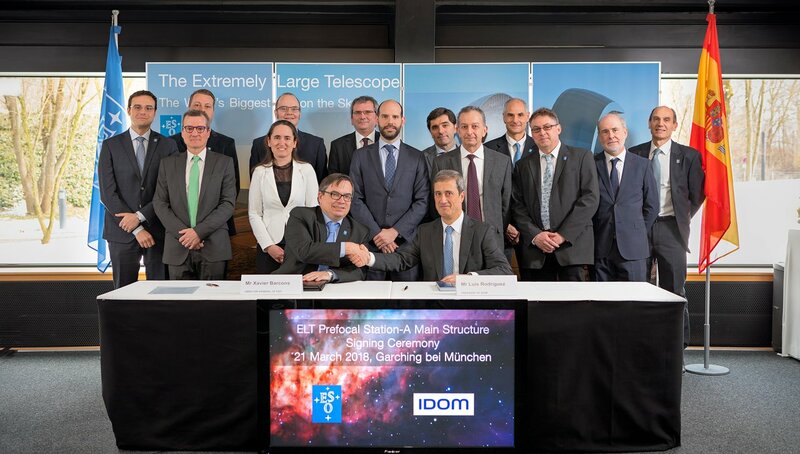 ESO has signed a contract with the Spanish company IDOM Consulting, Engineering, Architecture SAU for the production of a major new component of ESO’s Extremely Large Telescope. 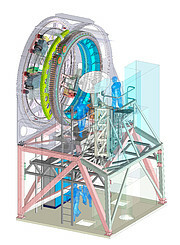 The Prefocal Station will direct the light collected by the telescope’s huge optical system into science instruments and other test equipment. It also contains parts of the active optics system of the telescope . 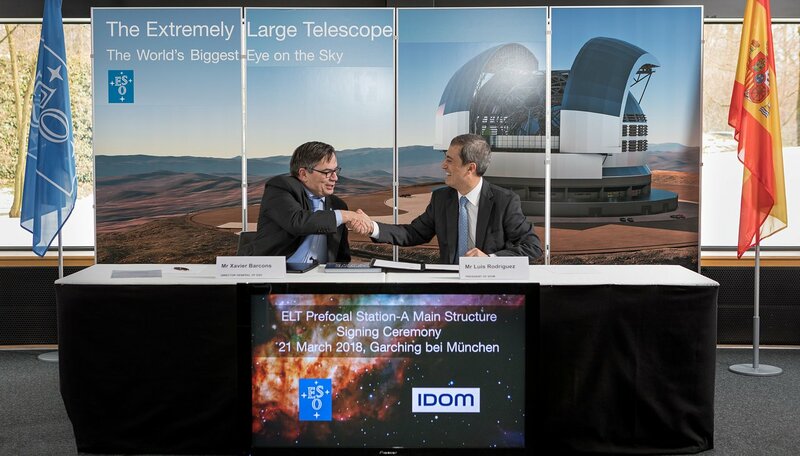 The contract was signed by Luis Rodríguez, President of IDOM, and the ESO Director General, Xavier Barcons, at a ceremony at ESO Headquarters in Garching, Germany, on 21 March 2018. 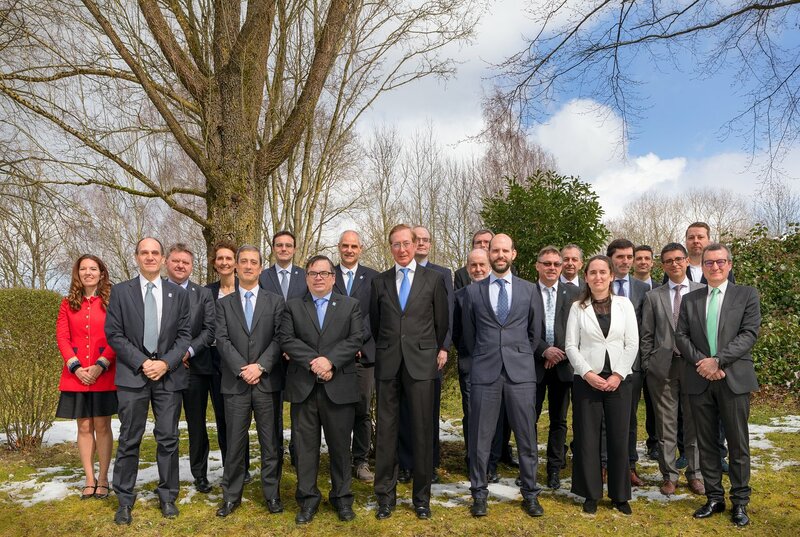 As well as representatives of the company and ESO staff, the Consul General of Spain in Munich, Francisco Pascual de la Parte, was also welcomed to the ceremony. The Prefocal Station is a massive structure, standing over 12 metres high, which sits on one of the two platforms on either side of the Extremely Large Telescope’s giant tube structure. 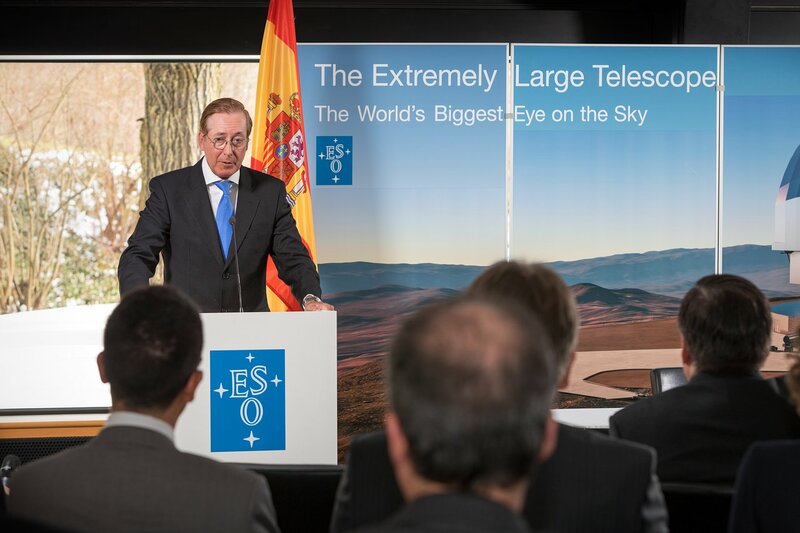 It is the last opto-mechanical component before the light from the telescope comes to a focus, hence the name. The Prefocal Station contains three movable mechanical arms that can pick off the light from stars. These will contain sensors to help precisely control the telescope’s pointing at objects in the sky. 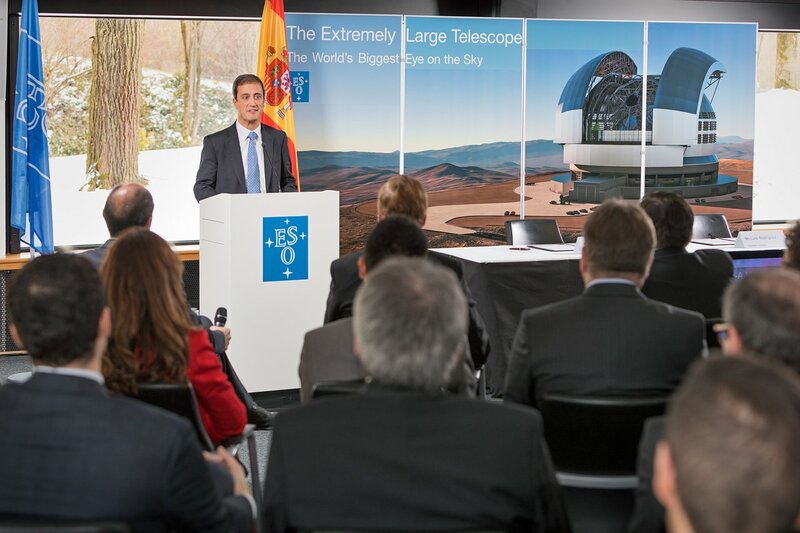 They will also feed information into the active optics system that keeps the telescope’s optics aligned and produces optimum image quality despite the constantly-changing effects of wind and other disturbances on the telescope. The Prefocal Station also includes a large movable flat mirror that reflects light into the huge science instruments that will be mounted on either side (HARMONI and METIS) and behind the Prefocal Station (MAORY and MICADO). 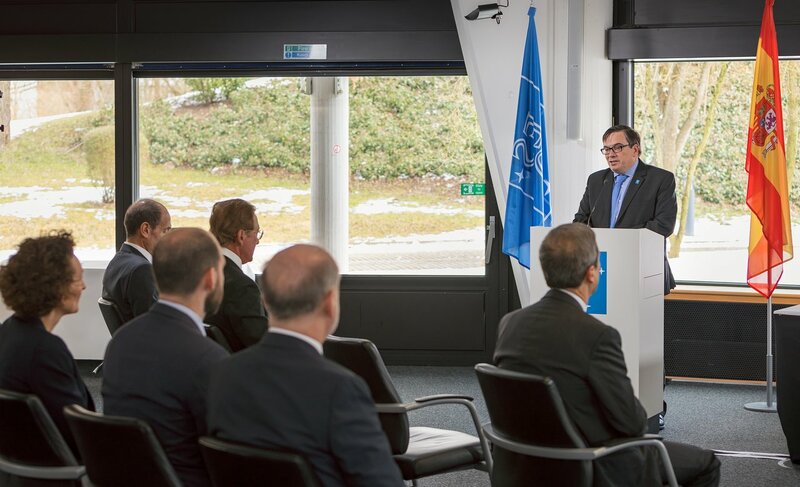 A second deployable mirror is also available to feed the light to additional future science instruments as well as to a test and diagnostic system. 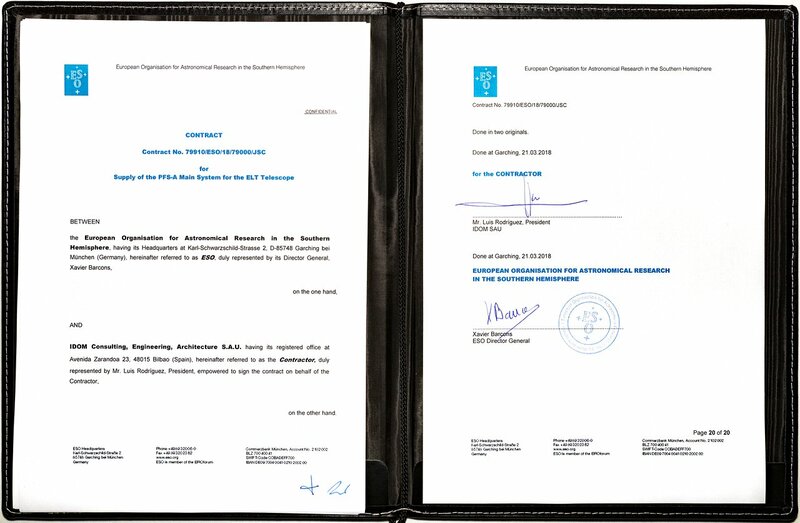 The contract formally covers the Prefocal Station A Main System. 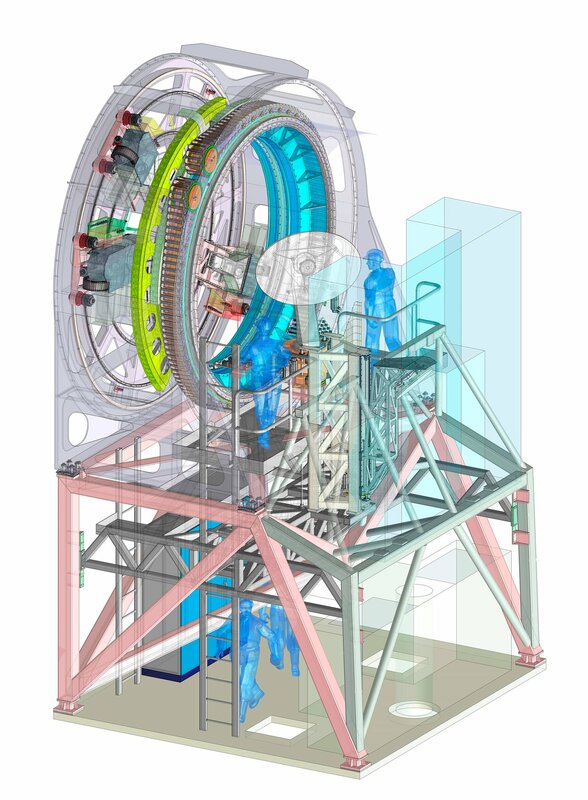 It also contains an option for the possible future construction of a similar station for the ELT’s other instrument platform on the opposite side of the telescope’s tube. The main system is part of a larger system that contains additional components such as system test equipment, metrology equipment, and detectors.